Spring is here and Easter is around the corner. How about some relaxing, creative YOU time? 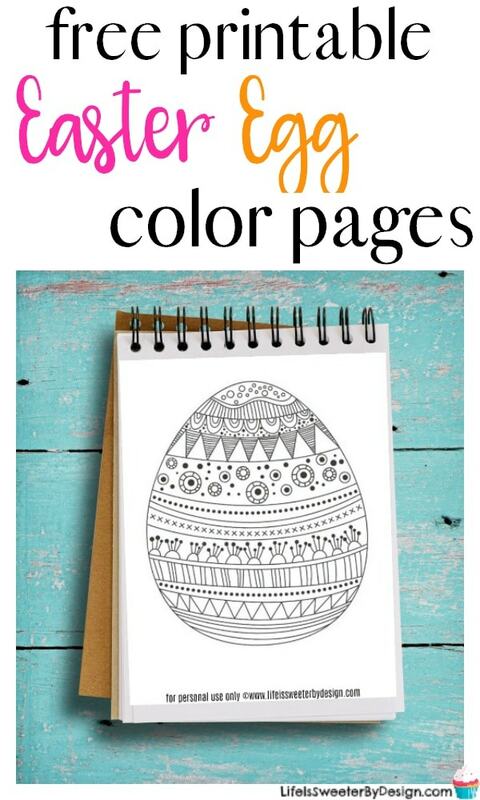 These free printable Easter egg color pages are the perfect solution. Grab your kids, some markers and feel the anxiety and worry drift away while you focus on creating a pretty egg! My kids all love to color. I am glad that coloring is popular no matter what age you are. It didn't used to be that way….that is one change that I hope stays around forever. There are 3 different Easter Egg Color Pages for you to color. You could even do a contest for the best egg! What are your favorite markers for coloring? We have several different brands/kinds at our house. Personally I like the ones that are dual ended…so I can chose if I want a fine tip or even finer tip. Here are some good choices! I use Zig markers in my scrapbooking a lot and I love this 12 piece set of Clean Color Dual Tipped Markers. These colors will make beautiful eggs. My kids have nice sets of Sharpie makers like this 24 count Color Burst set …they work great and come in so many colors! Another good brand of markers are the Bic Permanent Marker Fashion Colors . The cool thing about these is they don't dry out very easily…you can leave the lid off for 2 weeks and they will still work! That makes them a good choice for kids to color with, LOL. 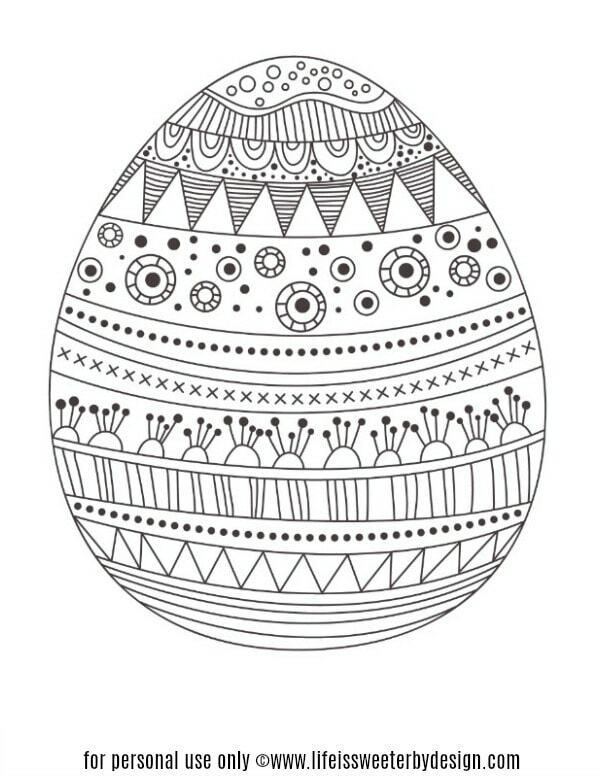 You can download the free printable Easter egg color pages HERE or by clicking the image below. It will be a download of all three egg designs. What are your plans for Spring and Easter? I am anxious to get into my flower bed….you can check out what I did last year with some cascading flowers and a galvanized bucket!